We love the creative process, but it feels pretty damn good to wrap a project and share it with the world. Each week, we share a few pieces that we’ve created with our partners to show what we’ve been up to lately (and maybe prove that we don’t just play ping-pong all day). Check out this Work of the Week, and if you want to see more, check out our portfolio. Networking can get you everywhere, especially in the White House. 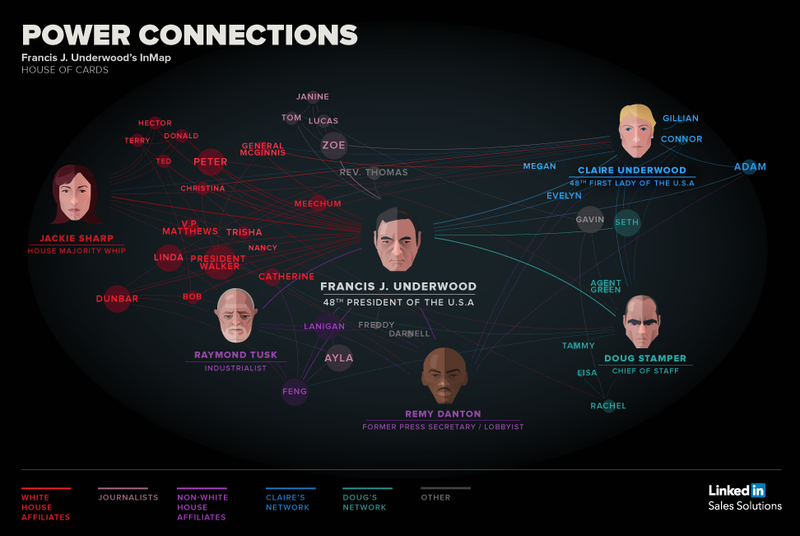 We collaborated with LinkedIn to create an infographic detailing the many power connections leveraged by Frank J. Underwood, the House of Cards main character and world’s most notorious networker. 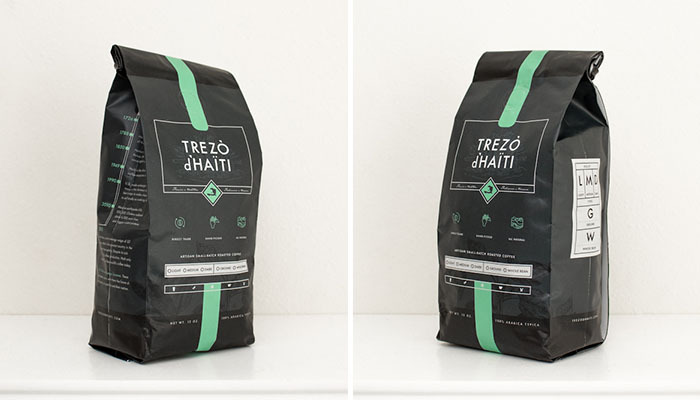 An old friend of Column Five came to us with an exciting opportunity: to create the branding for Trezo d’Haiti Coffee, a new artisan, fair-trade Haitian coffee. From the logo and color palette to package design and copy, we created a comprehensive brand profile that reflects both the product and its mission. They say imitation is the sincerest form of flattery. In music, that may or not ring true, depending on who decides to cover your song. 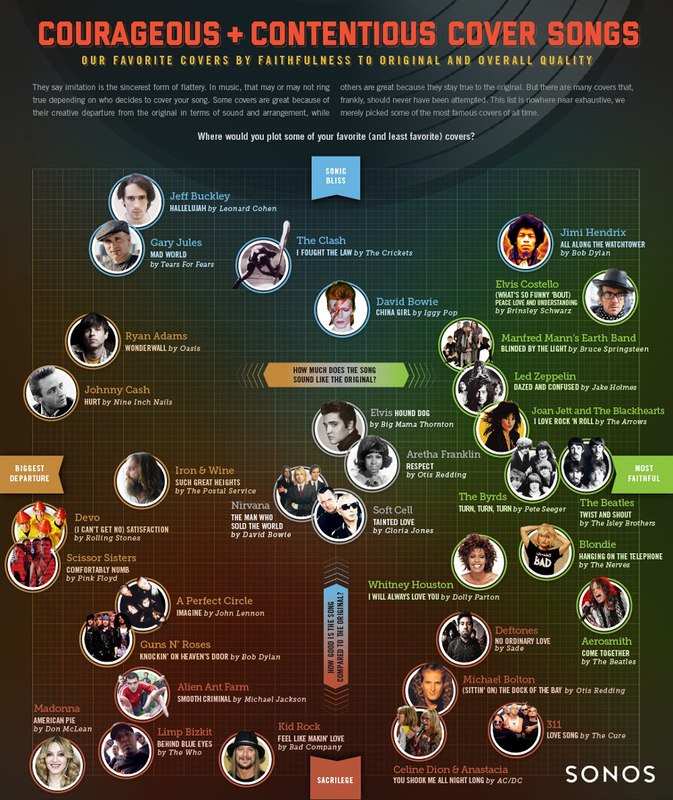 We collaborated with Sonos to chart some of the best and worst covers of all time. 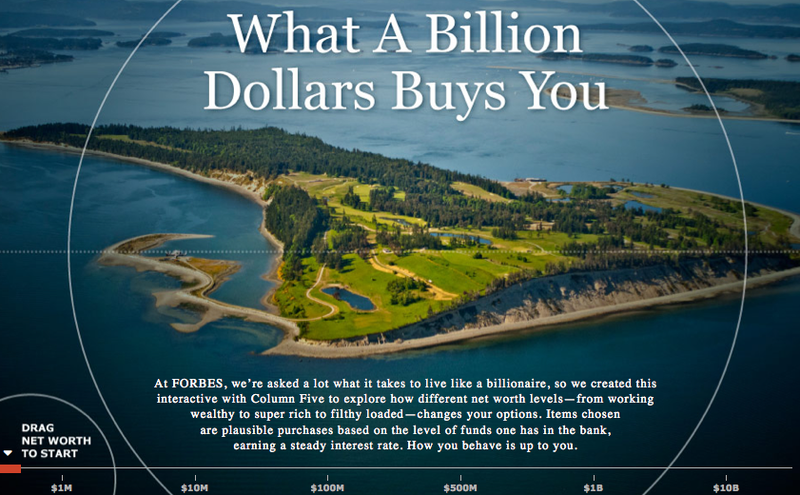 If you want to to be a billionaire so freakin’ bad, check out the interactive we created with Forbes, which visualizes a billionaire lifestyle. You can also explore different net worth levels—from working wealthy to to filthy loaded—to see what your life might look like. SlideShare is a visual communication medium, yet many presentations are dry and unengaging, which prevents even the best content from making a strong impact. We partnered with Marketo to design a highly visual SlideShare deck to help teach marketers how to build a better inbound marketing machine.